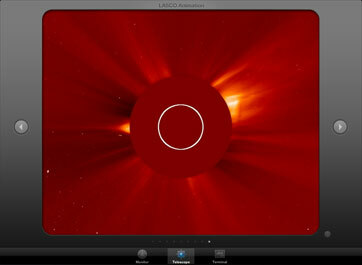 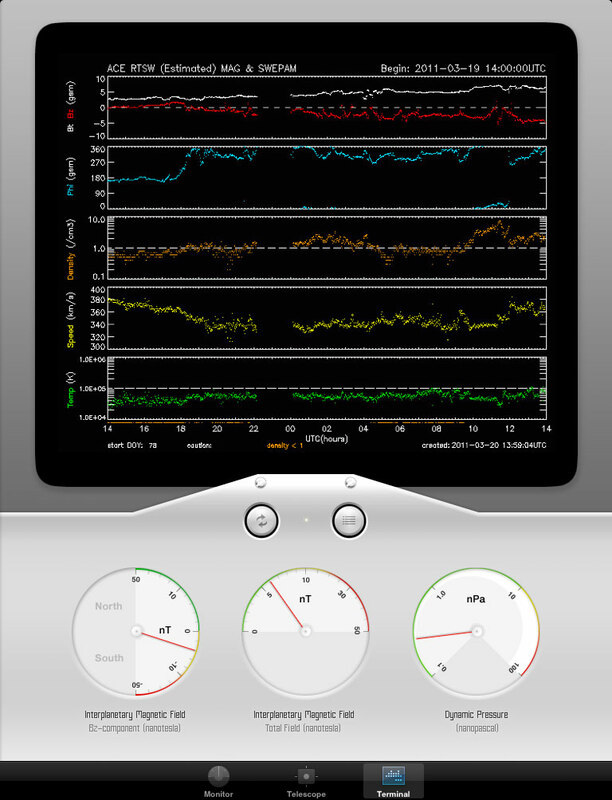 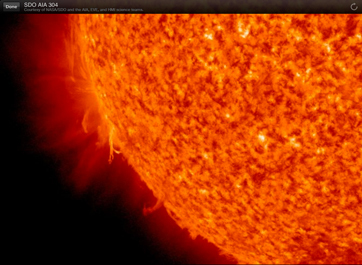 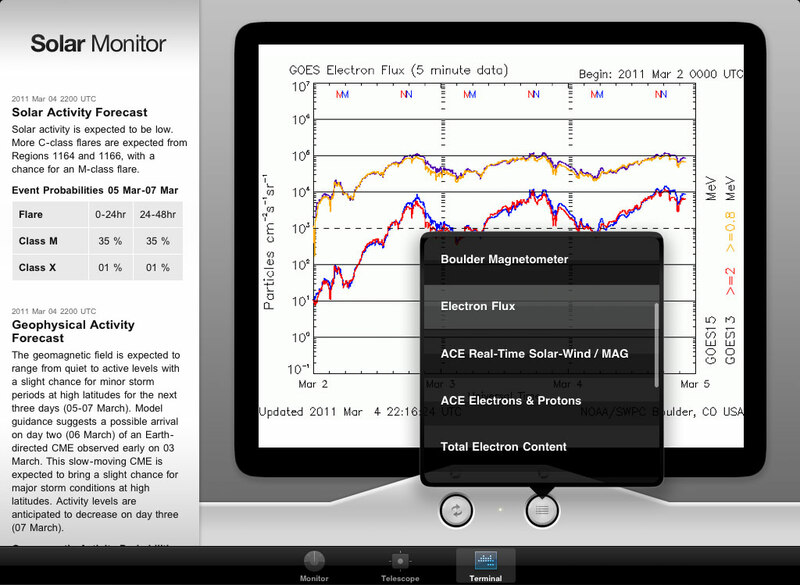 Watch solar flares in HD and track 1-minute real-time space weather data on your iPad. 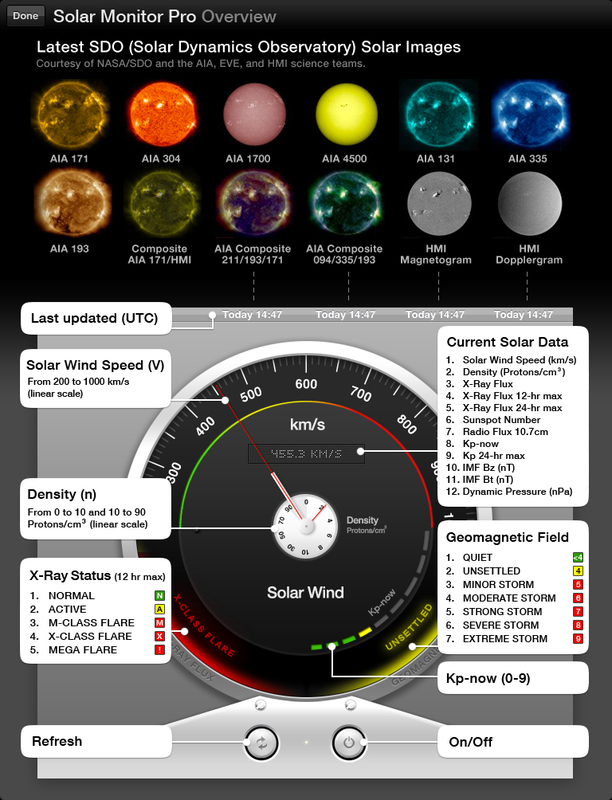 Track 1-minute real-time space weather data. 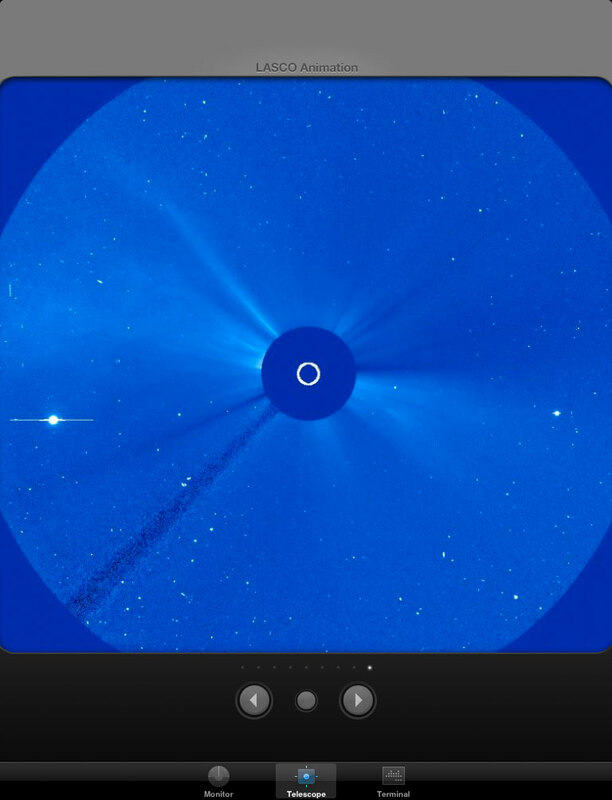 Use Telescope to view coronal mass ejections and browse through the latest LASCO C2/C3 images (Large Angle and Spectrometric Coronagraph) from SOHO spacecraft. 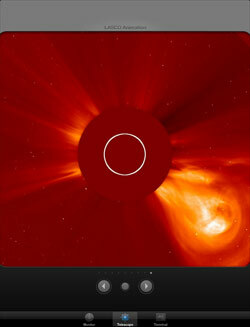 Activate auto-play mechanism to follow energetic bursts of solar wind plasma. Explore more than a dozen charts and plots - updated around the clock. 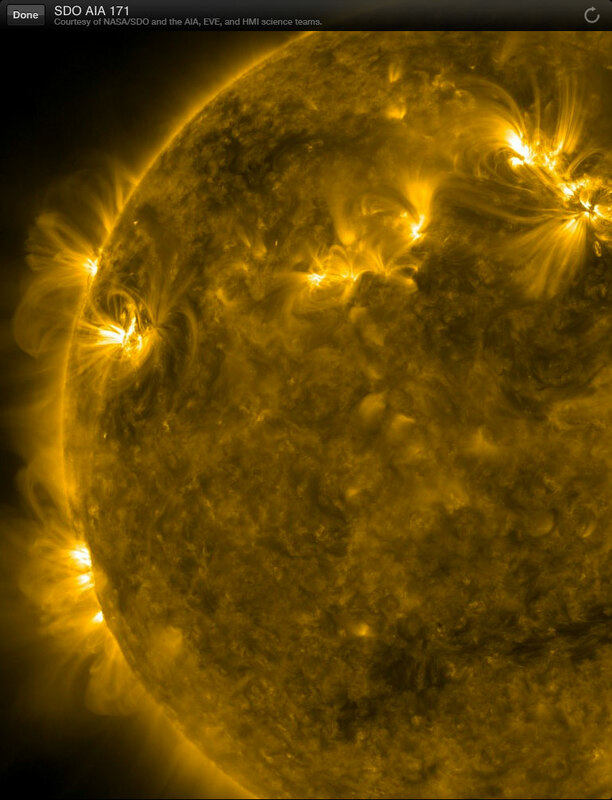 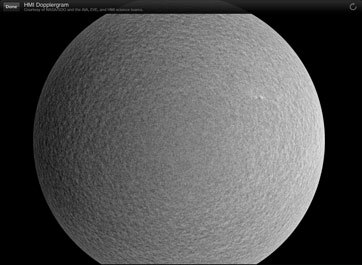 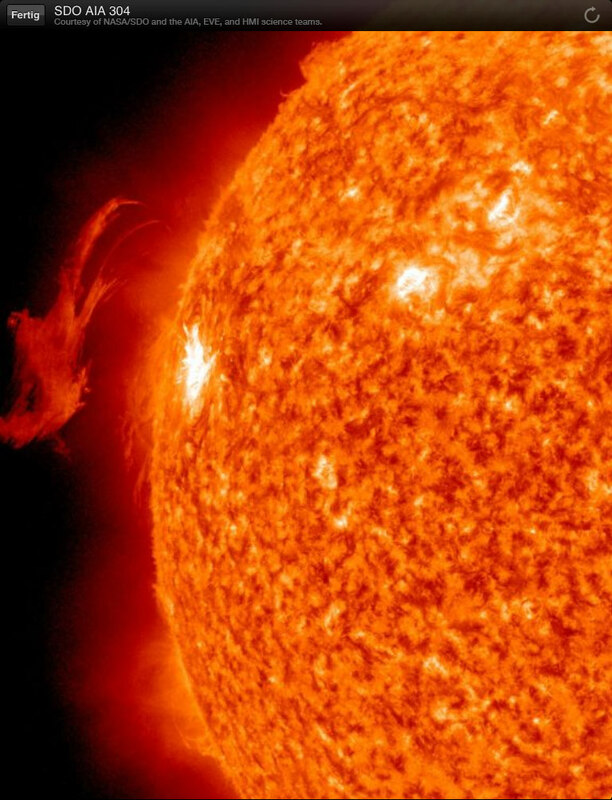 Enjoy stunning near real-time images of the Sun. 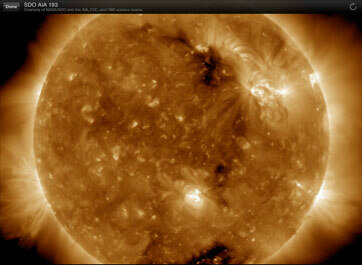 Watch solar flares in HD and enjoy the latest images of the Sun from NASA's Solar Dynamics Observatory. 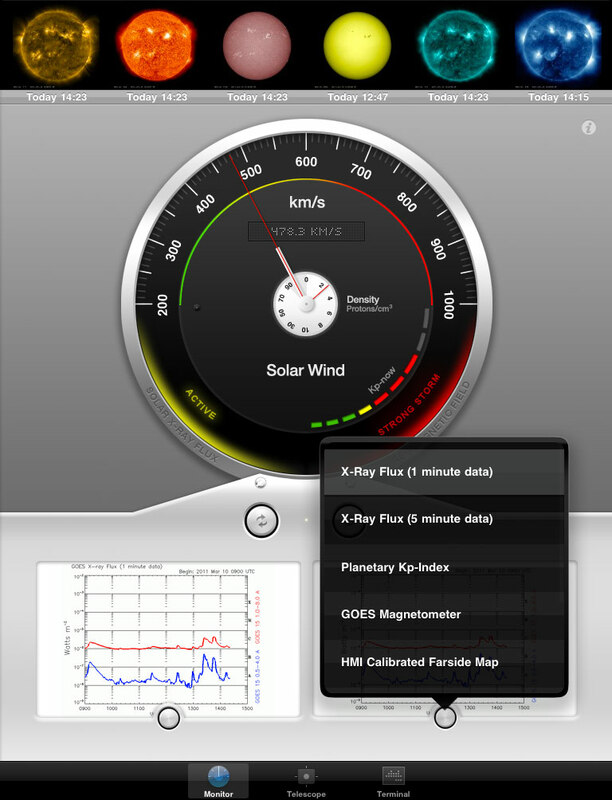 Stay up to date with push notification service for x-ray and geomagnetic field alerts. 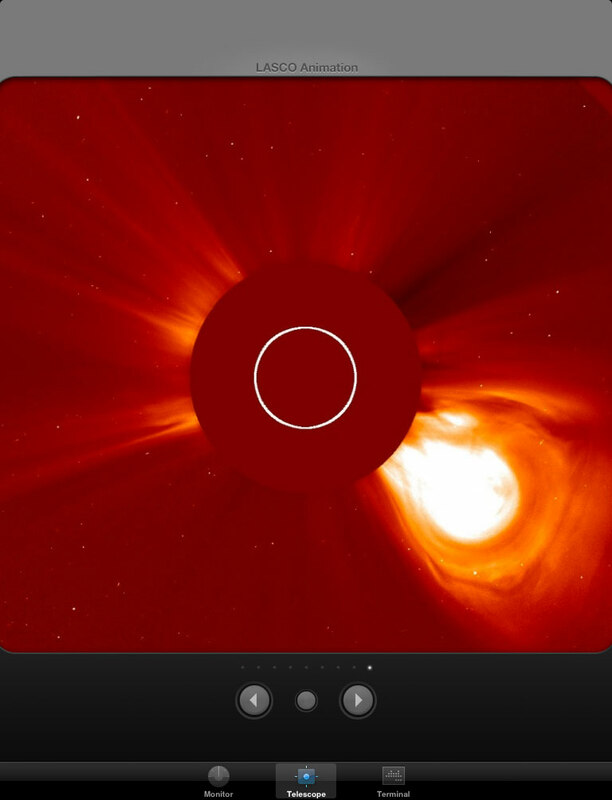 Once a major solar flare or a geomagnetic storm occurs, you immediately get a message via push notification service and the activity status lights up in yellow or red color. 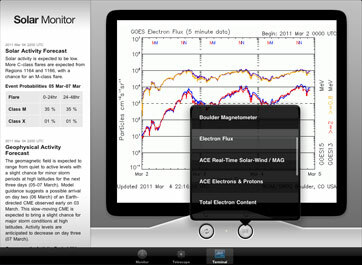 Use precise measuring instruments and history logs. 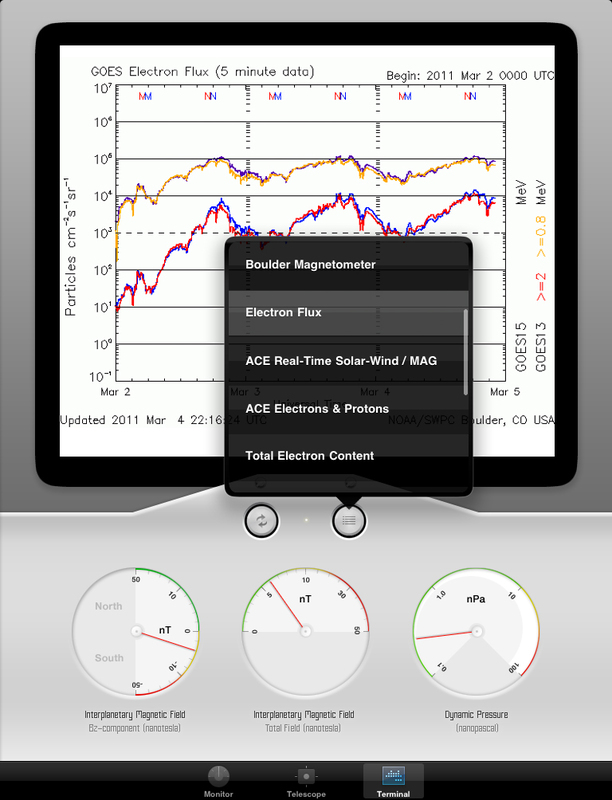 Get access to precise measuring instruments and history log files to track 12-hr maximum values and past events. 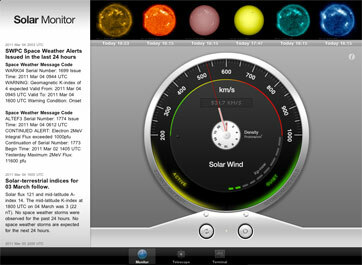 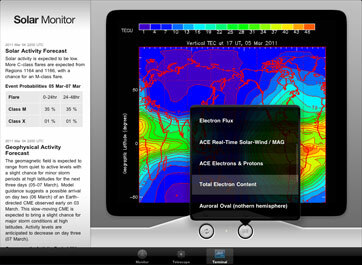 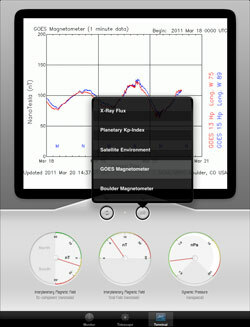 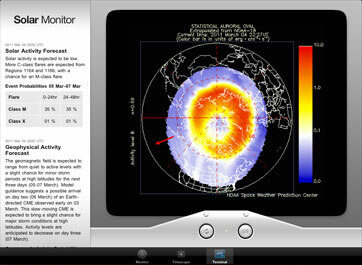 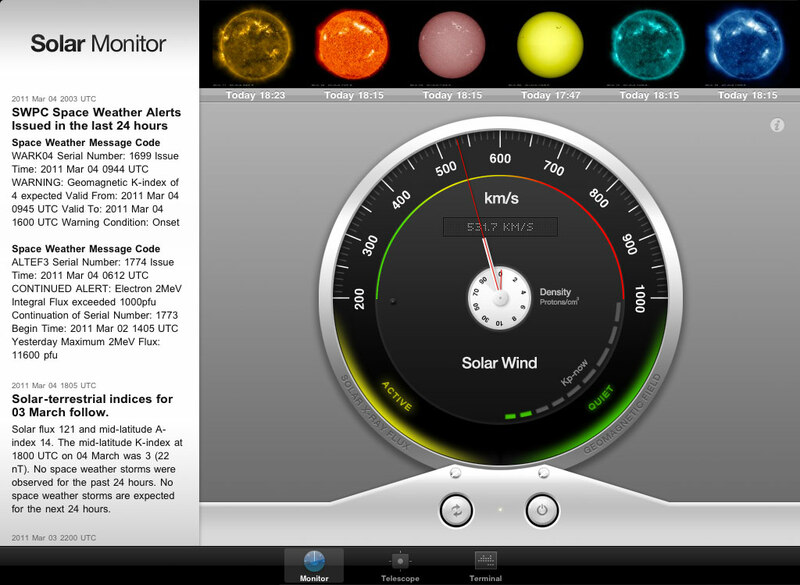 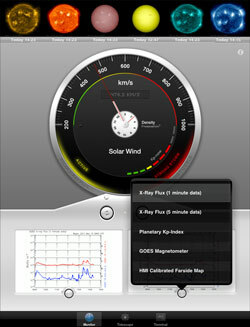 Download Solar Monitor Pro for iPad.